A very typical response we always get from clients is they don't think they have anything that can be used to generate a lead. 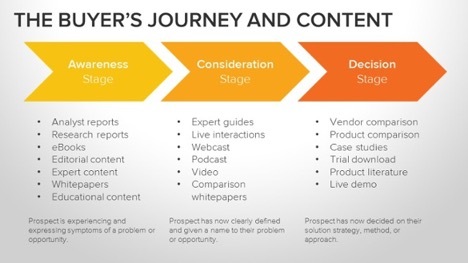 It isn’t until we go through the buyer’s journey and the different types of content that flow well with each stage, that a lightbulb goes off for them. During the Awareness Stage, it's really important to use content that helps educate the reader. The point is not to talk about your company or your services, but in this stage, it's our job to provide content that is helpful to the prospect’s pain points. At this stage they may not be ready to talk to anyone or purchase anything or even make a decision on who they need to hire or outsource. This stage is purely to help provide them more awareness of answers to their pains. During the Consideration Stage, it's important that we produce content to help the reader move down our pipeline with additional thought leadership and the opportunity to introduce our company and possibly some service-based solutions. Again, we are trying to create an experience for the reader. Not only do we know what we're talking about on a given topic, but we've got tools to help engage them a bit more. Creating content that ultimately commits that reader to your brand and your content for a longer period of time is the goal. Think webinars or seminars or checklists or calculators or tools that they can come back to and use. Lastly, in our buyers journey, we have reached the Decision Stage. This phase is really important because it lets your reader know that you are a good choice for them to move forward with. It's also really important to produce content for people in this stage because some visitors coming to your website already are aware and have gone through their considerations and need to make that final decision on who to go with. This content is also super helpful for your sales team to engage with a prospect or a qualified lead. Content such as brochures, comparison sheets, case studies and testimonials are great examples of content that not only can be displayed on your site, but it can also be used in your nurturing emails and your sales enablement process. Going back to my original statement that most clients don't believe they have any of this content lying around, they actually realize that they do have content that could fit each one of the stages. The next step is to flush that content out and create a content strategy to fill the gaps. In the meantime, using what you already have existing as some low hanging fruit opportunity for lead generation, often allows you to show the proof in the pudding within the first couple months of launching… as long as that content is properly optimized. Don't discount that brochure you have tucked on the shelves or that PowerPoint presentation you did to a group of your prospects last year. 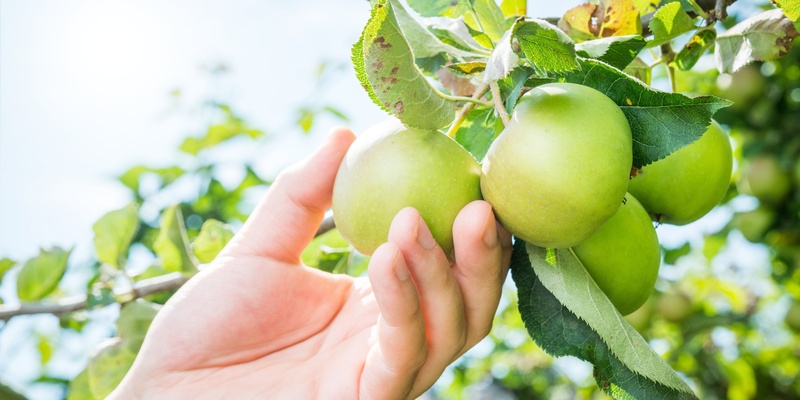 That type of thought leadership is invaluable when creating a lead generation strategy for the buyer’s journey, and starting with this reachable fruit is a great way to get started.